Next is a British multi-national clothing, footwear and home products retail brand and currently the UK’s largest clothing retailer. Our custom printed Polyester Bags are a strong, durable carrier bag which is light, easy to use and offers a generous amount of space in which to carry heavy quantities of items up to 150N. The plain-finished sample here has a polyester thickness of 10oz and well-attached handles which can be carried around the shoulder. This is a variety of bag we can offer in a variety of sizes, larger and smaller than the sample seen here and printed to a variety of different background colours. Our Sublimation Bags can be custom developed to a great variety of designs, patterns and even photographic imagery. As seen with this sample, this is an ideal bag to relay any art / fashion-specific image content. 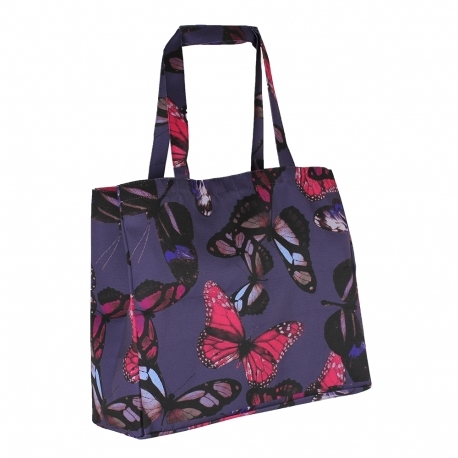 Sublimation printing allows us to print your own patterns, illustrations or textile designs across these bags to a rich, deep and accurate end result. 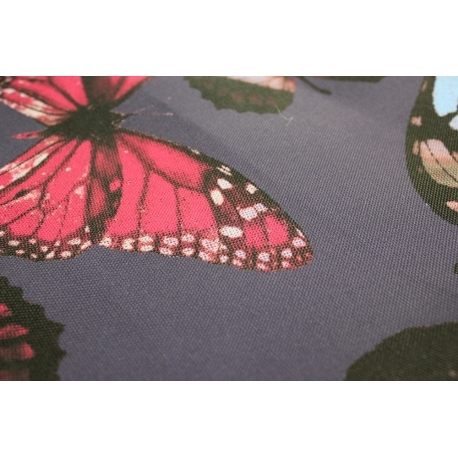 This type of printing is cleaner and faster than other print processes such as pigment or reactive dye print processes.